Come along and enjoy a fantastic family day for everyone. 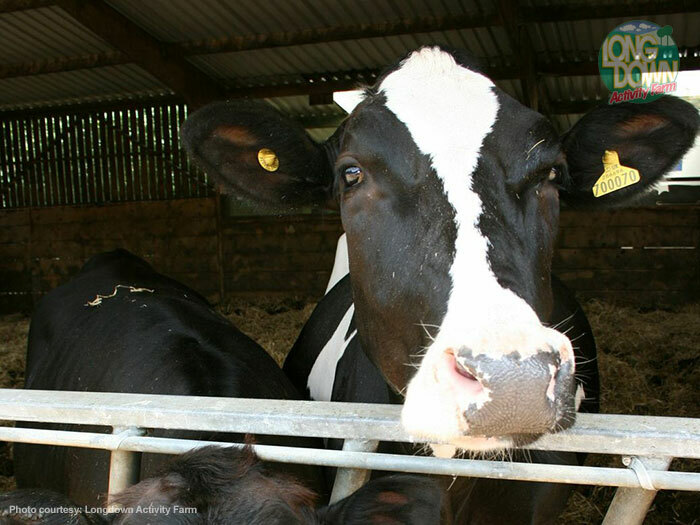 All around the Farm are examples of the usual farm animals you would expect to see, as well as some less common ones. 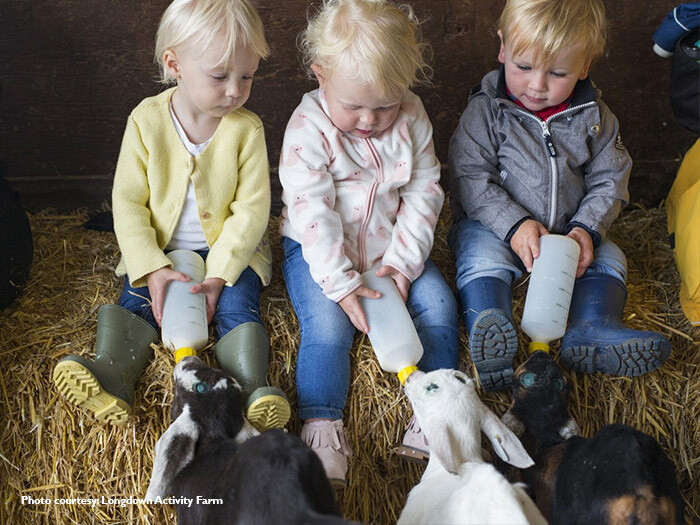 Longdown Activity Farm is a family-friendly working farm, open to the public. 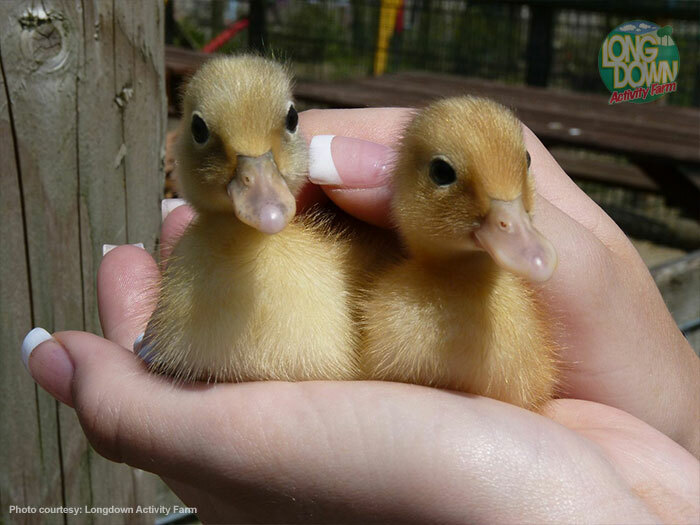 A daily schedule of activities includes kid goat and calf bottle-feeding, duck feeding and small animal handling when you can cuddle a baby rabbit or maybe even a piglet! Plus, there are lots more animals to see. 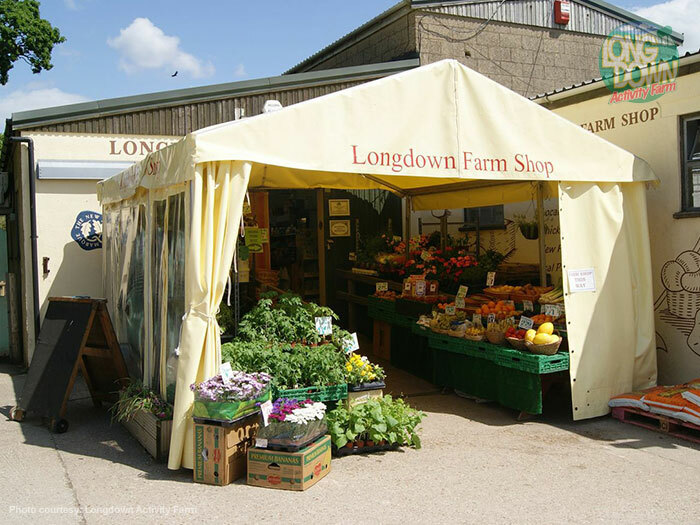 Longdown Farm Shop OPEN DAILY - 10am - 5pm. There are many fantastic farmyard buildings to explore. As well as five indoor and outdoor play areas including; trampolines, soft play area and the straw barn. Meaning there is lots of fun to be had whatever the weather. There is a brilliant – and very bumpy tractor and trailer ride too (ground conditions permitting). 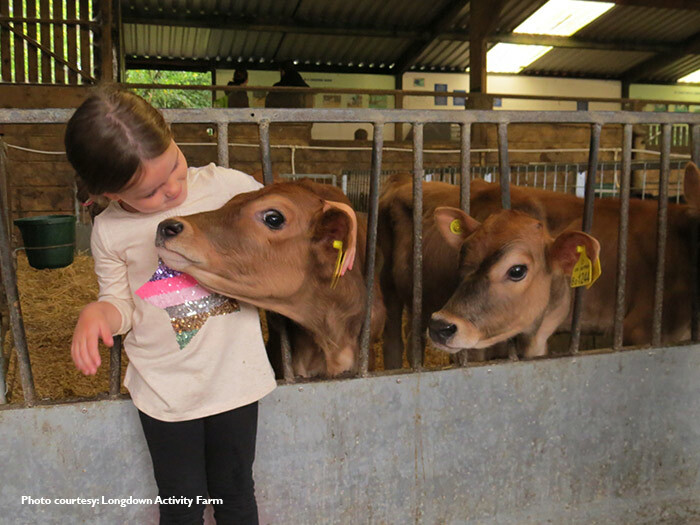 For more information about Longdown Activity Farm, visit the Longdown Activity Farm website or telephone 023 8029 2837.